The prAna stretch Zion short is made from our original stretch Zion fabric and features moisture wicking properties as well as UPF 50+ sun protection. This quick dry short falls just above the knee and is designed with mesh pockets and a ventilated inseam GUSSET. The Columbia Saturday Trail II Knee Pant was made for the outdoor-loving woman it's the ultimate outdoor staple. 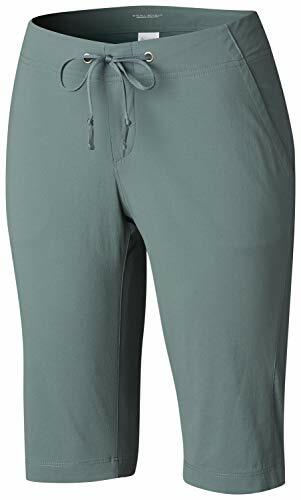 Crafted of a soft nylon and elastane fabric, these knee pants remain lightweight, yet durable, no matter the weather or activity. High quality materials and expert craftsmanship are the backbone of Columbia s women apparel. The technology featured in these knee pants are necessary for the outdoors. The exterior layer is made up of Columbia s signature protection fabrics: a combination of water and stain repellency and UPF 50 to help block and shield from UVA and UVB sun rays. The Columbia Saturday Trail Pant is also durable and comfortable - the gusset detail, comfort stretch, and articulated knees provide you with a personalized fit. Columbia offers our Columbia Saturday Trail II Knee Pant in multiple staple colors and sizes. To ensure the size you choose is just right, please refer to our sizing chart. To find your waist measurement, measure around your natural waistline. And for your inseam measurement, measure from the top of the interior leg to the bottom of the ankle. CLASSIC FIT: This pant is crafted of a classic fit with our nylon and elastane 2-way stretch fabric and features articulated knees. Whether you're fishing or keeping things light and casual, this Columbia Women's PFG Coral Point II Short is a staple for hotter outdoor days. Columbia's PFG line is loved by everyone, but specifically designed with anglers in mind. The high quality materials used to craft this women's fishing short are what make it so coveted, while its modern classic fit and colors choices provide style and comfort. 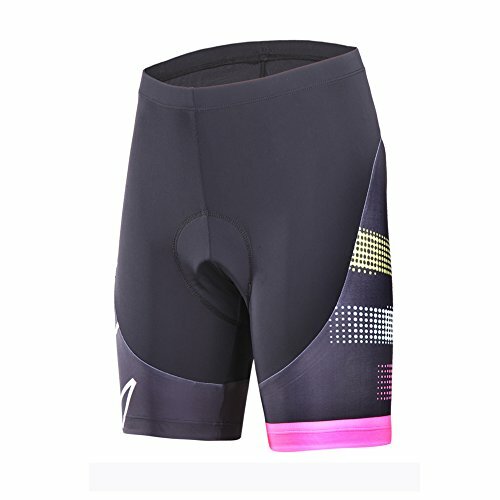 The technology featured in these shorts are what make them so special. The UPF 30 sun protection packed in the 100% nylon fabric is an essential for outdoor activity: it works hard to shield your skin from harmful UVA and UVB rays to prevent long-term sun damage. The wicking component works simultaneously to ensure you're always comfortable: it effectively pulls moisture away from the body so sweat can evaporate quickly and you stay cool through any activity. 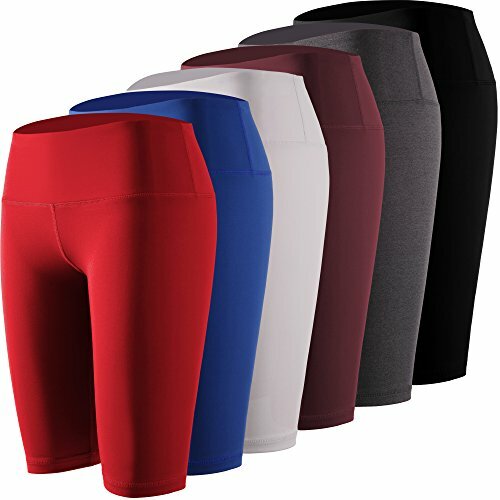 The unique fabric protects and defends all while remaining lightweight and soft on the skin, making these shorts versatile and essential for warm-weather days. Columbia offers our Columbia PFG Coral II Short in multiple colors and sizes. To ensure the size you choose is just right, please refer to our sizing chart. To find your waist measurement, measure around your natural waistline. And for your inseam measurement, measure from the top of the interior leg to the bottom of the knee. ADVANCED TECHNOLOGY: Columbia Women's Coral Point II Short features our signature wicking fabric that pulls moisture away from the body as well as UPF 30 sun protection that helps block UVA and UVB rays. HANDY FEATURES: Two side pockets and a single back pocket keep your smaller items secure. CLASSIC FIT: These lightweight shorts provide a classic fit for casual days outside. FABRIC: These shorts are crafted of a 100% nylon material for a soft-to-the-touch, lightweight feel. 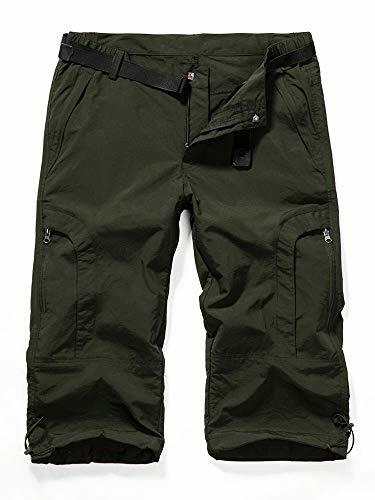 This A2Y Basic Solid Premium Cotton Mid Thigh High Rise Biker Bermuda Shorts is great for casual wear and easy to style with most items. It has a variety of colors for your choice and good quality, stretchy which makes you feel comfortable when wearing. Suitable for a casual everyday look and yoga, exercise, fitness, gym, running. 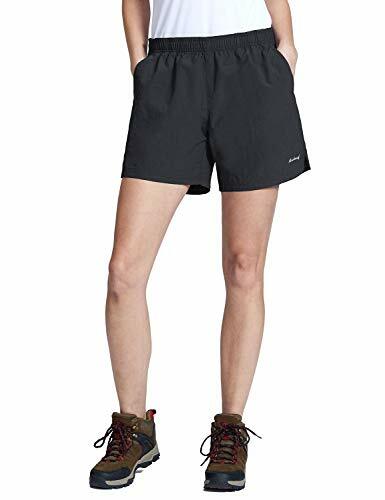 Designed for hiking enthusiast, these womens hiking shorts feature ultralight, stretch fabric with belt loop. Quick dry material dries fast to keep you comfortable. UPF 50+ shields you from exposing sun in the middle of outdoors. A trustworthy outdoor wear you can expect to have in outdoor adventure. Stretch Fabric - Lightweight, 4-Way stretch fabric for enhanced movement and comfort. Qiuck Dry - Water repellent finish dries quickly to stay dry. UPF 50+ protects you from UV ray. Part elastic waistband with belt loops for adjustability. Side zipper pockets; Rear zipped pocket. Soft, durable materials and a fit that's made for you Columbia prides ourselves on providing just that and more for women's apparel. The Anytime Outdoor Long Short is a prime example of soft, durable material that remains comfortable all while give you the protection you need. These shorts are crafted of a combination of soft nylon and elastane that make up our signature 2-way comfort stretch fabric. Columbia's Anytime Outdoor Long Short also provides an active fit made for women that love the outdoors. 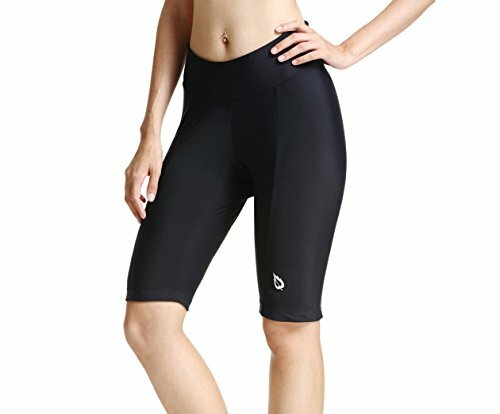 The technologies featured in these shorts provide ultimate protection. Our water resistant and stain repellent exterior resists the absorption of liquids to keep muddy and rainy environments from dampening outdoor fun, while the built-in UPF 50 works hard to block UVA and UVB sun rays to help prevent sunburns and long-term sun damage; the combination of these two technologies ensures efficient and lasting protection of outdoor elements from the ground up. Columbia offers these active fit shorts in a variety of sizes and in multiple staple colors. To ensure the size you choose is just right, please refer to our sizing chart and abide by the following measurement instructions: To find your waist measurement, measure around your natural waistline. And for your inseam measurement, measure from the top of the interior leg to the bottom of the knee. 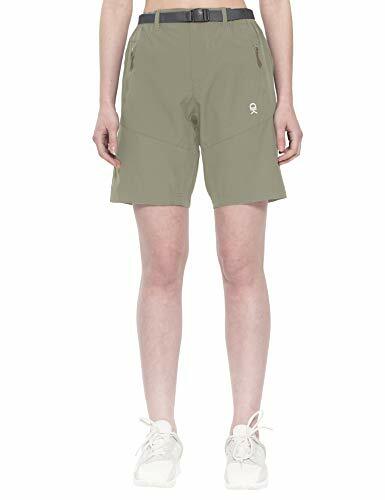 Old school and still cool, classic Baleaf Outdoor Shorts for women are made of lightweight nylon with a durable water repellent finish and UPF 50 sun protection for wet, outdoor play. 1. Durable nylon fabric has a durable water repellent finish. 2. UPF 50+ shields you from the sun's harmful UV rays. 3. Fully elastic waistband with drawcord provides a stretchy, comfortable fit. 4. 2 front hand pockets and 1 zip back pocket with mesh lining for drainage. 5. Flatlock stitching minimizes chafing. Size S: waist: 27"-28.5", hips: 37"-38.5"
Size M: waist: 29.5"-31.5", hips: 39.5"-41.5"
Size L: waist: 32"-34", hips: 42"-44"
Size XL: waist: 35"-37", hips: 45"-47"
Size 2XL: waist: 38"-40", hips: 48"-50"
The Baleaf Women's 3D Bike Shorts made from a lightweight and durable stretch fabric and have a panel construction. 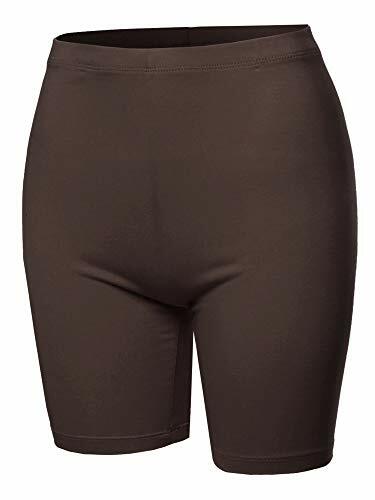 This padded cycling short features a flattering wide waistband with zippered pocket and anti-slip elasticated leg hems focused on a smooth short-to-skin transition for maximum comfort. 38: Waist 39.3", Hip 52.0", Length 25.2",Front Rise 13.0". Women's Quick Dry Cargo Shorts: 100% Polyester,Water repellent finish dries quickly to keep dry. Casual Shorts for Women: Sits at waist / loose fit / Straight leg openings with drawstring tie to fit with boots. Super-soft cotton and built-in UPF 30 makes these shorts perfect for days on the water.